Great addition to learn how to grow flax in permaculture practices. even better. Maybe I'm in the right sight to win a book. I am a weaver and spinner, i've woven linen but not learned to spin it yet. 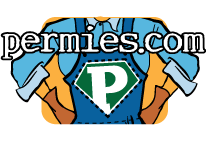 and definitely interested in learning the whole process in permiculture terms. thank you for sharing with us. I have begun to ware linen for energy and health and it makes a difference. * Welcome Raven Ranson, author of Homegrown Linen! Just what i wanted to learn. I spin other fibers and have woven flax. learning to grow and process flax into linen and spin it has been a goal of mine. i wanted to sign up for the free book but i can not figure out how to do it. I've had this problem before and missed out on things. thank you for your sharing and your book. I live in high altitude New Mexico, i wonder how flax grows in dry climate? do you know the wild edibles in the southwest high mountain regions? question for Author; do you know the wild edibles in the southwest high mountain regions? Also how do you go about learning if something is edible for food? we have a plant that grows well here in early spring that i was told was Russian alfalfa and is good for cows. would it be good for humans as well? is is high nutrient like alfalfa? Some have complained of allergies to its pollen. How would i find out about this plant. i use it for mulch. but i am wondering if it could be a food source as well. Is there a path to go in finding out for ones self if a plant is eatable and how beneficial it is? i was just trying to think of a way to create extra sleeping space by possibly suspending a bed from the ceiling and letting it down for sleeping and raising it up out of the way during the day. Any ideas how to raise and lower it? I have heard about sprouting grains and seeds for chickens and other animals. one lady drilled holes in the bottom of a bucket and hung it on a nail. her rinsing consisted of dipping the bucket with the sprouts into a bucket of water for a few minuets and pulled it out hang it and went on to the next one. that is one way to get green in winter. or mico-greens. what is CVC or the stuff you put in water and why? also i noticed someone said to put it into the fermenting feed. Could you explain please? add; the brush uses no toothpaste at all. you just dab it on the surface you want to collect from and it collects stuff which you rinse off the brush and go at it again till you get all surfaces. very effective. i use just salt water; i dip tooth brush in and brush. the stuff just comes off the very easily off ther tongue as well and i do the oil pull. my daughter introduced me to a kind of brush that collects plac rather than brushing it off. saying regular brushing pushes the plac into the gums. the brushes work very well and it collects the plac off the roof of mouth and all surfaces. she noticed her gums become healthier before she was having trouble with her gums. I have tried it and it works well but it takes some time. It collects a lot. i will get with her to get the name and share that later. thanks on your experience. i want a camouflage coloring because white is a target here and we have lots of hawks. White anything does not last long. I even make sure cats are of a color. i have new dogs so i do not know how well they will do with the skunks. i will check out the sight. i have been interested in the buff orffingtans but i would like a bird capable of protecting their young when foraging. thank you for the number per rooster. i know the difficulties of not having enough hens per rooster. i had thought i would start with 5. but maybe i will need to increase that number. i have read that ducks lay all winter. so a few could produce during the lean time. i plan of having both chickens and ducks for different reasons. they fill different niches.